With a total of 64 Starred restaurants this year, the MICHELIN Star Family has now increased with 1 new Three-Star restaurant, 2 new Two-Star restaurants and 7 new One-Star restaurants. Michelin is pleased to unveil the selection of The MICHELIN guide Nordic Countries 2018, launched at a special event at Copenhagen City Hall. This year’s guide features one new Three-Star restaurant: Frantzén in Stockholm. 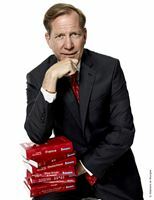 Michael Ellis, International Director of the MICHELIN guides, comments: “Björn Frantzén has created a unique vision of Nordic cuisine, combining sublime ingredients with astounding culinary techniques. Björn Frantzén’s gastronomic expression is truly worth the journey, and is a gustatory experience like no other”. The MICHELIN guide Nordic Countries 2018 also includes two new Two-Star restaurants: Daniel Berlin in Skåne Tranås, Sweden, where Chef Daniel Berlin makes wonderful use of local ingredients, with the emphasis on balance, purity and precision, and Kadeau in Copenhagen, Denmark. In this restaurant, the passion of the team, which is like a family, comes through in the cooking which is defined by finesse and intricacy. This year’s guide also sees an exciting geographical extension of new One Star restaurants. 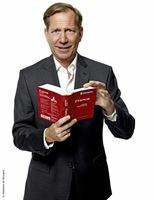 Denmark has two: Me|Mu in Vejle and Jordnær in Gentofte. Sweden boasts three new One-Stars: SAV in Malmo, and Aloë and Agrikultur in Stockholm. In Finland, Grön is a great addition to Helsinki, and in Norway Galt adds to the impressive array of restaurants in Oslo. The MICHELIN guide Nordic Countries 2018 caters for every type of visitor, from business traveler to tourist, and recommends the best places to eat and stay across all ranges of comfort and price. This year’s guide lists Starred restaurants first, followed by restaurants with a Bib Gourmand, and then restaurants classified with the new plate symbol for good cooking. The Bib Gourmand highlights restaurants that offer good quality cooking at an attractive price. This year, seven new addresses are distinguished, including three in Stockholm: Kagges, Shibumi and Bar Agrikultur and one in Gothenburg: Project. In Helsinki Jord receives a Bib Gourmand, as do PMY and Musling Bistro in Copenhagen. This brings the total number of restaurants with Bib Gourmand in the MICHELIN guide to 37. 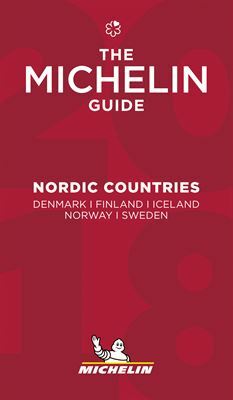 For the full list of Starred restaurants in the Nordic region please see the separate Michelin Nordic Countries guide Award List 2018.